Browse the web for a short time and you'll find scores of quality .380 handguns available for under $400, but which ones are the best? The group of .380 caliber handguns have long been a favorite choice concealed carry license holders. The .380 is large enough stopping power for an attacker in self-defense, and small enough to comfortably carry for extended periods. The five affordable choices listed here are some of the best .380 handguns under $400. These picks are great for both men and women. They don't have to be a "pocket pistol," but most are compact enough for your typical American to carry comfortably. What will you choose as the right one for you? Hopefully this list gives you an idea of what you can get if you are only looking to spend so much. The Smith & Wesson Bodyguard .380 is a dependable, solid weapon at an affordable price. This compact and lightweight .380 handgun is loaded with features for fast and reliable shooting. The 6+1 capacity magazine and integrated laser sight gives shooters plenty of accuracy and shot capability, while the polymer grip gives shooters a steady grip. The Bodyguard also features a drift-adjustable rear sight for consistent accuracy out of what's a particularly small barrel length. The Smith & Wesson M&P Bodyguard is hard to find for less than $400, so this earlier version is your best bet. The Ruger LCP .380 has a smooth, compact design that makes it comfortable to carry for long periods of time. The frame is made from strong glass-filled nylon and hardened alloy-steel. The Ruger LCP's low-profile sights and compatibility with integrated laser sights offer increased accuracy and consistent results on the shooting range. And, it's 6+1 magazine capacity gives shooters plenty of shots. At less than $400, the LCP is a nice choice for those who prefer comfort and reliability over the bulk and size of larger handguns. They've since come out with the Ruger LCP II, which also comes in at below $400. The Taurus 738 TCP .380 is a little gun that packs a big punch. It's lightweight, compact and comfortable to hold. The lightweight frame is made from a durable polymer, and the components are made from stainless steel and titanium. With a price tag of under $250, it's hard to find a better carry option at such a great price. The Walther PK380 is a low profile .380 that's perfect for shooters who want a small concealed carry gun. The PK380's slim grip and small slide are perfect for female shooters. Standout features of this gun include manual safety blocks, three-dot polymer, an ambidextrous magazine-release. The PK380 is available with a double or section trigger. 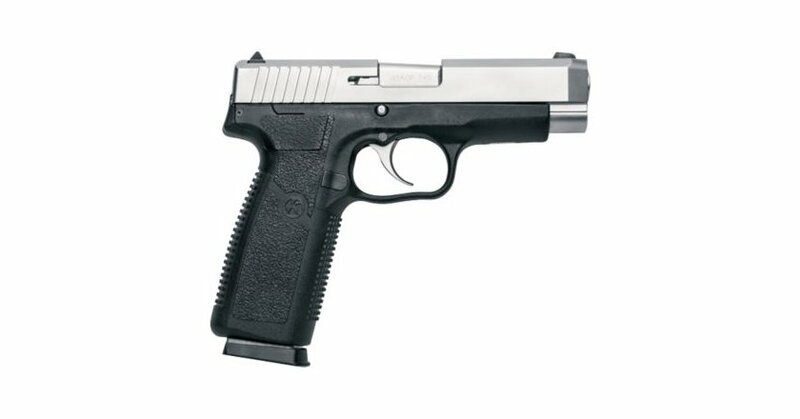 The Kahr CW3833 semi-automatic handgun is a smooth, double action .380. Its patented offset barrel and ergonomic grips give shooters better control and positioning with their shots. This gun also has a cocking-cam trigger system that controls the passive safety and firing pin to ensure smooth action. Check out these 10 compact handguns.